Eggs are used in baking to add color, flavor, texture, and structure to delicious creations. Marie-Antoine Carême, the French celebrity chef of 1800’s, brought some serious egg technique to the culinary table. By beating egg whites to a stiff foam and incorporating the egg yolks into the flavorings and cream or milk, Carême created the first soufflé. You, too, can use eggs to their full, fluffy potential in your baking and pastry techniques by tapping into the tips below. Always remember to fully cook or bake your eggs, and when used raw or in a meringue, to use a pasteurized Safest Choice egg. Your creation will be even better when you have peace of mind. When you are whisking eggs into a custard or a hot liquid be sure to temper the two ingredients of different temperatures. This ensures that the eggs are added smoothly, they don’t begin to coagulate or cook in the hot liquid. Likewise, stir your eggs and sugar together immediately upon combining. If egg yolks and sugar are left to mingle together without being fully incorporated, the hygroscopic, moisture absorbing, sugar will damage the yolk. Pulling the valuable moisture from them, it is like the sugar is cooking the center of the egg rather than combining smoothly. Especially when whipping up a meringue to fold into a cake batter, volume is important. To achieve an egg that will whip up to its fullest potential, it is best to use eggs that are at room temperature. Shoot for a 70F egg before you start whipping, it will stiffen faster, too. When using eggs, especially in a raw or mildly heated way, it is important to be aware of the risks. Because most eggs that are found in a grocery store are raw and unpasteurized, you run the risk of getting sick. However, this is simple to avoid. Using pasteurized eggs is more common today than ever before. Even better, when using a pasteurized egg it looks, tastes, and acts just like an unpasteurized egg. That’s because it is just like any other egg, except it is guaranteed safe. So look for the “p” for pasteurized and make a delicious meringue buttercream with confidence. If you are using a pasteurized egg, you don’t have to worry about using up your eggs right away. A safe, bacteria-free egg can last past eight weeks in a refrigerator. For a simple, fried egg age doesn’t matter and an older egg may not be ideal if you’re looking for a fresh taste. However, for baking and meringues, an older egg is best. As an egg white ages it thins, and this makes it easier for your whisk to cut in and incorporate air, therefore giving you a tall, soft, and delicious cake. If a recipe calls for just egg whites, don’t ditch the yolks. Yolks may be mixed with water and a pinch of salt to make an egg wash. Brush onto your breads and pastry for a beautiful shine. Adding cream of tartar, an acid, to egg whites helps to lower their overall pH. By doing this, the protein structure of the egg is made more flexible, so it will hold up better as you pipe, spread, or incorporate is further. When whipping up your eggs it is better to use a whisk that is smaller. Finer tines found in what is called a piano whisk, will incorporate smaller bubbles of air, which allows for a more stable meringue or whipped egg. 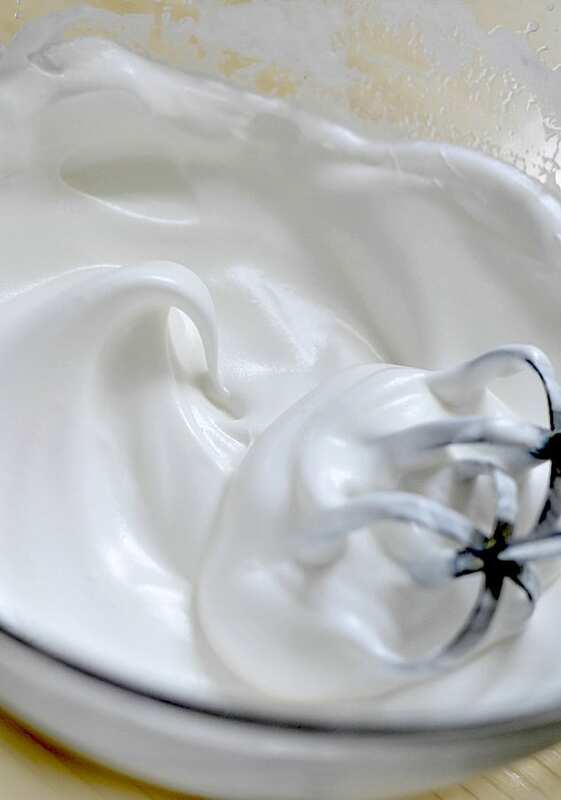 A larger, thicker whisk will create bigger air pockets within a meringue. These are more likely to collapse and pop. This article was republished with permission. It originally appeared as An EGG For Every Occasion — Egg Tips for the Avid Baker at Honest Cooking.